Foreign Exchange [Forex] involves exchanging of different foreign currencies for a profit. The reason for buying the currency of another country may be the need to buy some commodity of the said country as well, besides making money through the difference in exchange rates. In the latter case, people buy currency of a foreign country when the rate in the market is low, and sell it off when the rates go up. Currency trading is usually done between the central banks, the government, speculators and MNCs. Nations cannot trade with each other without the presence of a foreign market. A huge amount of money is daily traded in the Forex market, though the amount invested by an individual trader may be very low. No one individually can have any influence on the Forex fluctuations, not even the government. So it can easily be concluded that the level of the currency reflects the strength or the weakness of the economy of a country. So this makes the Forex market a good place for competition. The government and the central bank do try to stabilize the currency of their country by speculating, by buying and selling currencies at appropriate times. So they can influence the market if they conduct a trade in huge volumes, though. To buy its own currency, however, the government or the central bank must have huge reserves of foreign currency with them. So it is virtually impossible to inflate the currency value artificially. Banks trade a lot in foreign currencies and this forms a chunk of the volume in the Forex market. They buy currencies not only as individual bodies, but also on behalf of their clients. They trade in lots of futures. Till a few years back, the brokers could influence the volumes of trading in the Forex market. But due to the electronic services available now, the services of brokers is not required. It’s easy to operate electronically. Trading with international countries is possible only with the existence of Forex markets. 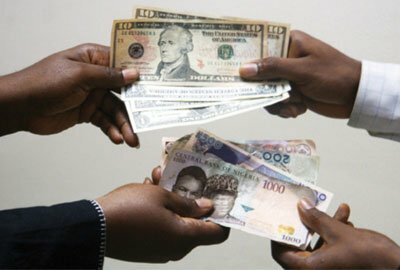 When there is no Forex market, there is no common currency between two countries, so one cannot evaluate the value of one currency with respect to the other. The buyer pays the seller in the former’s currency. With the money so received, the seller buys goods in the buyer’s country and sells those goods in his [seller] country. Only then he is able to know how much he has earned through the export. In the presence of a Forex market, though, it is very easy for a seller to know of his earnings at the very instant that he conducts an export trade. In the same manner, the buyer too will have a thorough knowledge of the cost he will have to incur to buy goods from an international country. So during a time of economic meltdown, be on the lookout!